Here in Orlando, we get pretty mild winters (thank goodness). We never have to deal with heavy snow and we rarely have ice on the roads. However, we get a handful of cold nights during the year and if the temps dip low enough and your car is parked in the shade, you could wake up to ice on your windshield. Not to mention, if you head out of town in the winter you’re more than likely to find yourself in need of some windshield de-icing. Toyota of Orlando is here with car care tips to help you de-ice your windshield like a pro and hit the road with a clear field of vision. Tip #1: Don’t use hot water. DO NOT EVER use hot water to try and melt the ice off of your windshield – it can end in disaster. Hot water hitting the icy cold surface of your windshield can actually cause the glass to crack or shatter from the temperature differences. If you have to use water, use lukewarm water to try and loosen the ice a little. Tip #2: Avoid using vinegar. Another common myth is that you can use vinegar to remove ice from your windshield. Our car care experts advise against this – vinegar can damage the plastic and paint on your vehicle, so you want to avoid pouring it on your vehicle at all (even the windshield). Tip #3: Don’t try to clear ice with your windshield wipers. Don’t use your wipers to try and scrape frost or ice off the windshield. It’s not effective, first of all, and can easily damage or shred the rubber on the wiper blades. This means they’ll be ineffective from that point on and you’ll have to replace them ASAP. 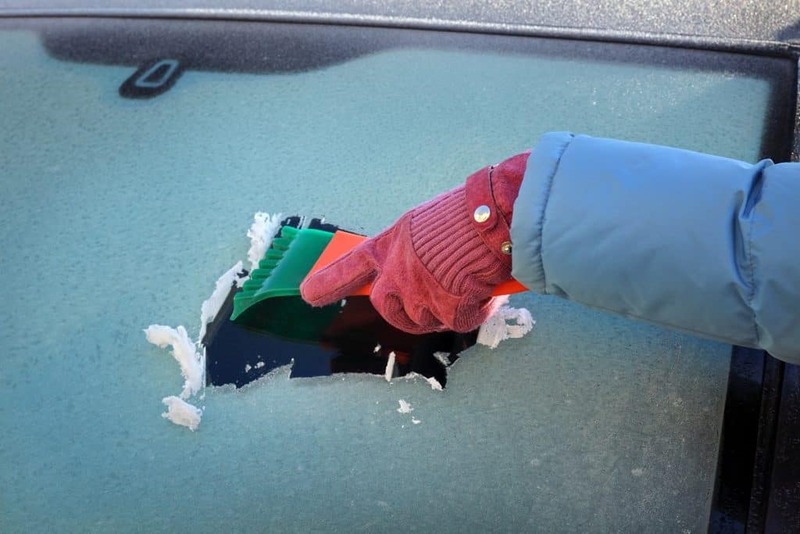 Tip #4: Run your defroster for a few minutes. Running the defroster in your car can help loosen up the ice a little bit, so climb into the driver’s seat and warm both yourself and the windshield up before you get to scraping out in the cold. Tip #5: Avoid using a metal scraper – opt for plastic. A metal scraper can damage the glass windshield, leaving scratches and scrapes that impeded your field of vision. 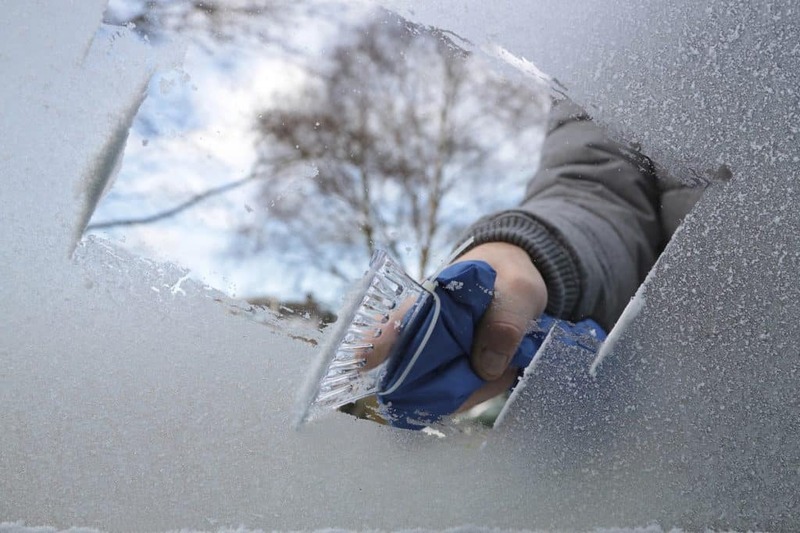 Instead, opt for a plastic scraper – one with a brush on the other end is super handy because then you don’t have to use your hands to brush off the ice and frost. However, don’t scrape TOO hard – even hard plastic can scratch your windshield. There are de-icer sprays on the market, but living here in Orlando, it’s not really that cost-effective to buy them since we see ice so infrequently. Your best bet is to buy a plastic scraper and just keep it in the trunk in case you need it! Need more car care advice or want to grab a scraper? 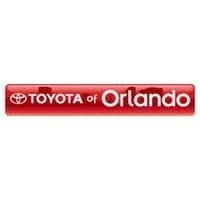 Ask our auto service experts at Toyota of Orlando – they’re here 7 days a week with the info you need at (407) 298-0001!